Ferrari 365GT 2+2 Parts Catalog. 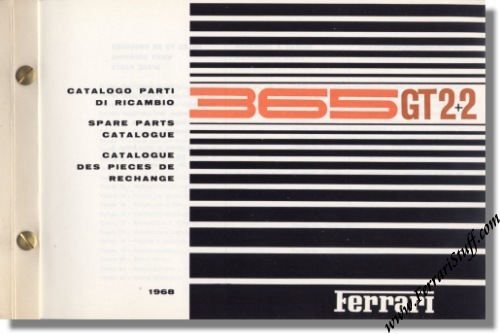 Ferrari factory issued parts list for the 365 GT 2+2. First printing with brass screw binding. 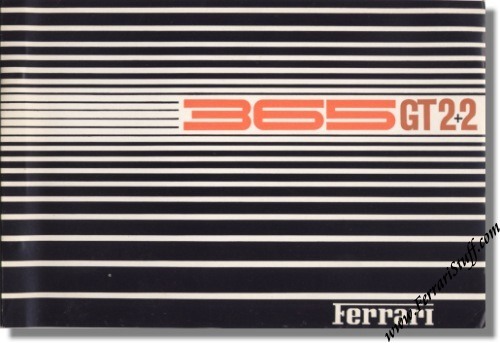 Ferrari Print Number 23/68, issued in 1968, printed by Grafiche Elleci, Bologna, Italy.